Some things just pair incredibly well together: wine and cheese, Batman and Robin, comedians and movies. It is such a tried-and-true formula that there are multiple local geek channels, podcasts, shows, webcasts, etc. that you can choose from to get all of your film fandom fix from local, funny personas and never hear the same joke or movie twice. With a wealth of films and funny people to talk about them, everyone can find their perfect fit of comedians dissecting movies. However, there is only one perfected Cult Classics vs. Comedians, and as a special treat for the month of October, they are presenting their bonus “31 Screams”: a featurette of 31 minisodes of terror. 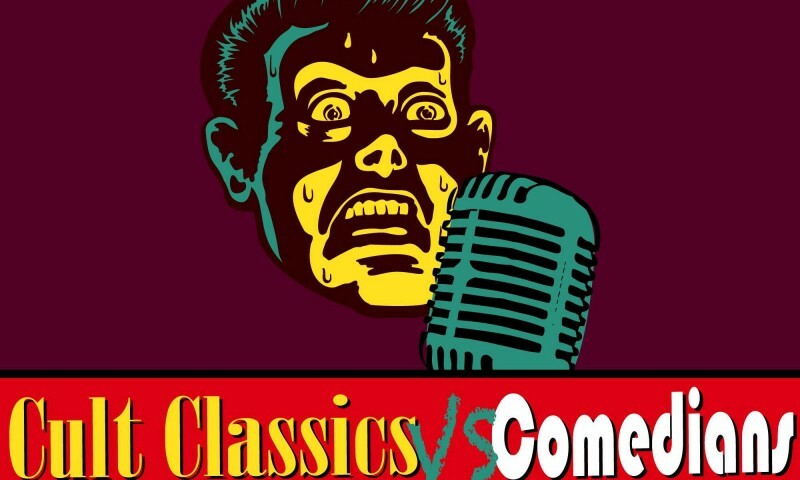 Cult Classics vs. Comedians is the brainchild of local entertainers Ben Fuller and Jamie Maxfield, and it’s finishing out its first season, which started in February 2016. “We’re going on 28 episodes now,” says Maxfield. “We’ve really built up a nice little library of cult films, and not all of them are what you would traditionally categorize as cult films. Some of them are films that people grew up and loved. We have some mainstream movies that are just fun to have on the shelf.” Each episode of Cult Classics is about 12–14 minutes, where a returning panel of three comedians and Maxfield discuss one cult classic film. But what is it about comedians that makes them want to talk about films much more than any other art form? “I think it is because of their isolated lifestyles, mainly,” says Maxfield. Fuller had a different take, though. “Their social-awkwardness and their inability to make a connection with people outside of the stage,” he says. He did add in more seriousness: “Comedians are pop-culture savants, right? They spend all of their time mining pop-culture and what’s going on around them for their material.” Fuller believes that is what makes comedians the best subjects to talk film with. They can banter about movies, but in a fun way. They know the topic, but don’t have to be experts about it. “Our approach is always fun—we aren’t trying to be smart about it, always funny,” Fuller says. 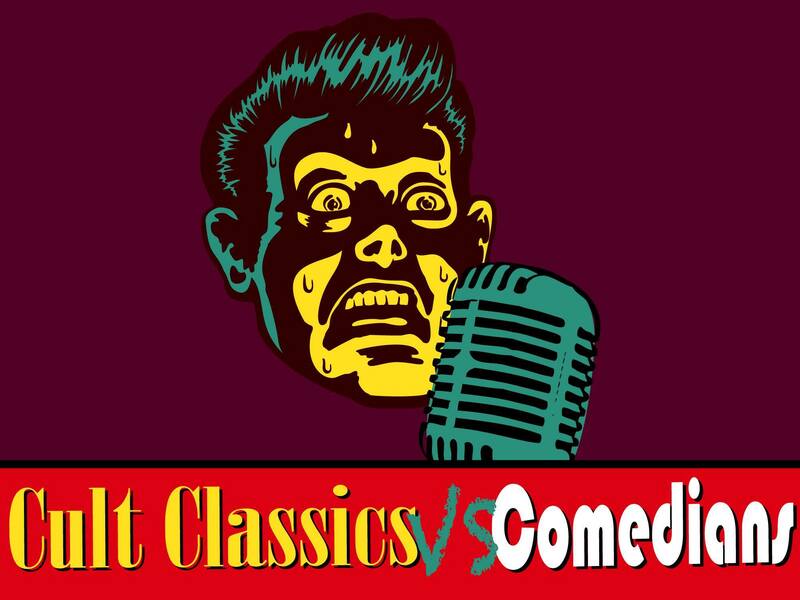 During the month of October, Cult Classics vs. Comedians has gotten in the “spooky spirit,” and has posted an episode daily, most featuring a new local comedian, each one of them featuring a new horror film, cult classic or hidden gem. It was local comedian Melissa Merlot who came up with the name “31 Screams.” Due to time constraints with the regular, long-form show, they shoot four episodes back to back, not every comedian locally can be involved right away. “There’s just not enough time for them all to do it. This was a way to give them a way to give everybody a little moment to share something that they love,” says Fuller. “We’re really gratified that everybody has enjoyed it so far. We’d like to do another one for Christmas.” So far, they have covered everything from the recent and atmospheric The Witch featuring Nicholas Smith to the classic Bedknobs and Broomsticks with Eileen Dobbins. Fuller enthusiastically encourages everyone to “support local comedy!” They tag every video with where to check out and follow the local comedians. You can see all of the “31 Screams” as well as each of their episodes of their Cult Classics vs. Comedians on their Facebook page.